The Wren's Nest reef limestone deposit is the most famous in the world. 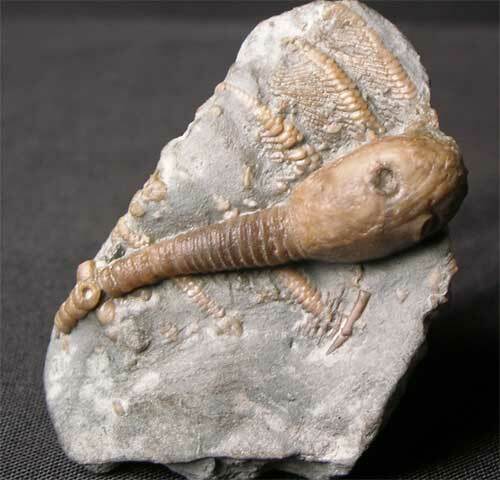 Fossils from this site are very highly sought after and this is an exceptionally unusual specimen to come onto the open market. 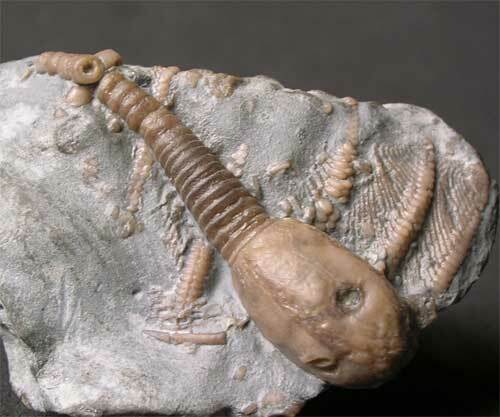 Most fossils that come up for sale are Trilobites, however,this is a stunning and beautifully prepared Cystoid which lies on top of the arms of a Silurian crinoid. 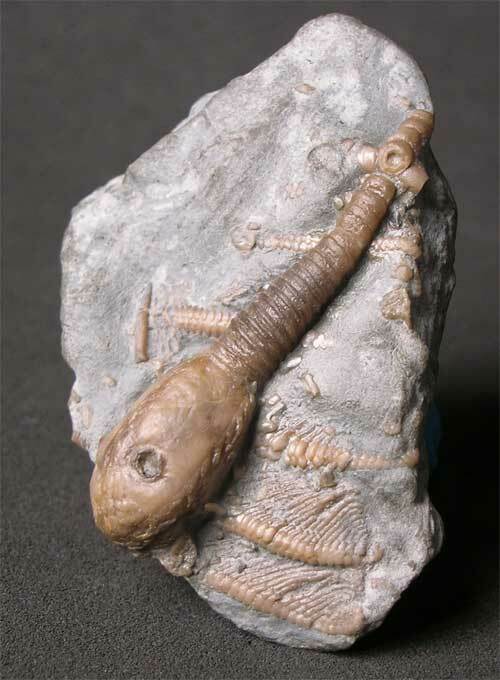 The detail of the specimen is exceptional. 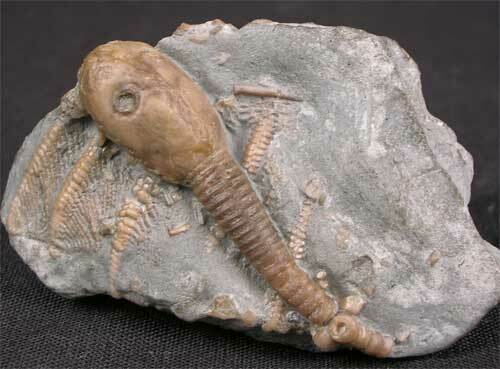 This is excessively rare and is a unique opportunity to own such a fossil.